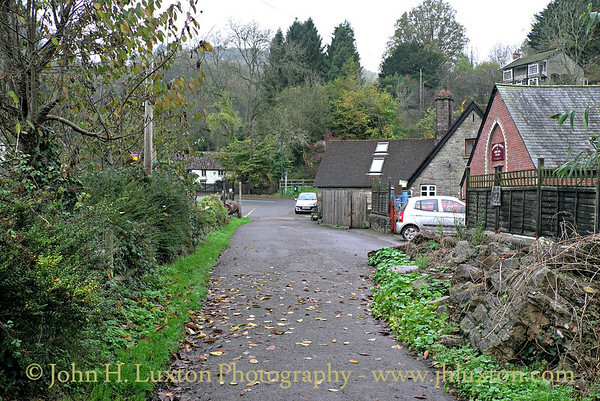 The Tintern Wireworks Branch was a short branch line on the Wye Valley Railway which was acquired by the GWR in 1905. The Wireworks Branch was completed in 1874 and opened on 1 November 1876; the reason for the delay was that the Wye Valley Railway which the branch line fed into, was not completed until the latter date. It closed in 1935 when the rails buckled in the heat of the summer. By August 1875, before the opening of the branch, the Abbey Wireworks Company had ceased trading. 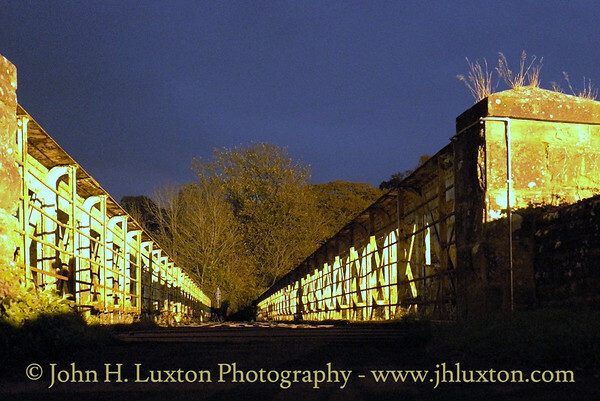 The line remained practically unused until the early 1880s when the works were taken over by the Abbey Wire and Tinplate Company; this venture was short lived and the works closed in 1901. The branch lines own owned locomotive was sold around this time motive power was provided by horses taking rolling stock into the village to serve sawmills and a turnery works. The railway closed in 1935 and the tracks lifted to aid the war effort in 1941. 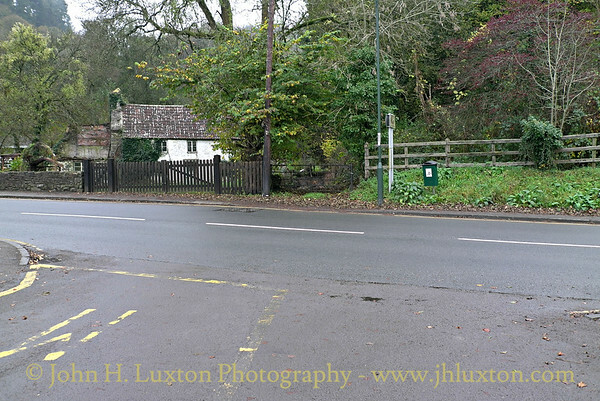 The junction remained in place until 1945. 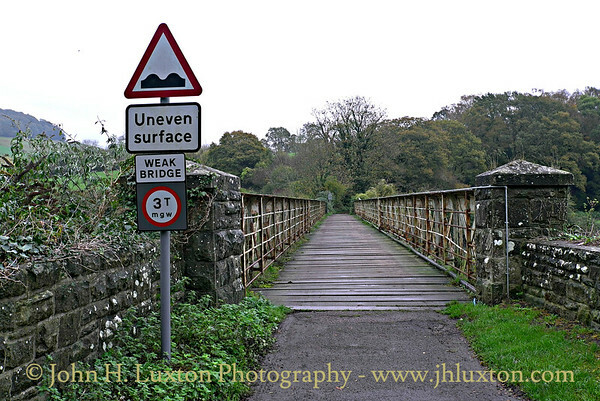 The impressive bridge constructed by the Isca Foundry Company of Newport Monmouthshire was converted into a foot / road vehicle bridge which provides a link to foot paths on the Gloucestershire (English) side of the River Wye and road access to farms and dwellings. 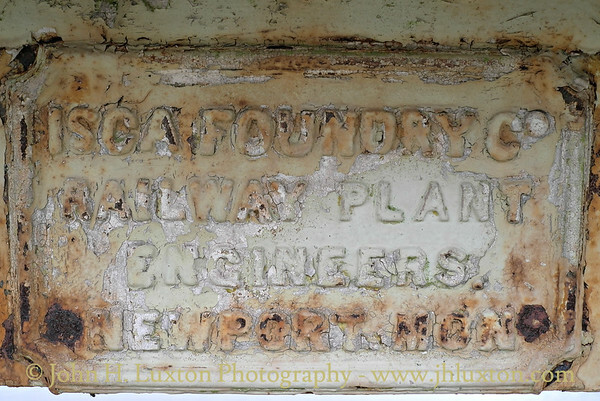 Builders plate of the Isca Foundry Company - Railway and PLant Engineers of Newport, Monmouthshire. 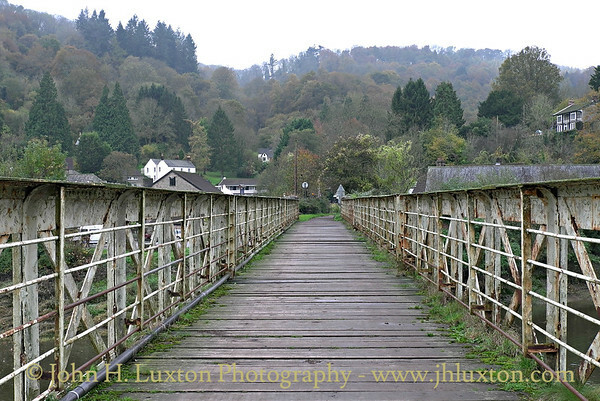 View across the River Wye bridge towards Tintern. View on the Gloucestershire side of the River Wye towards the bridge. 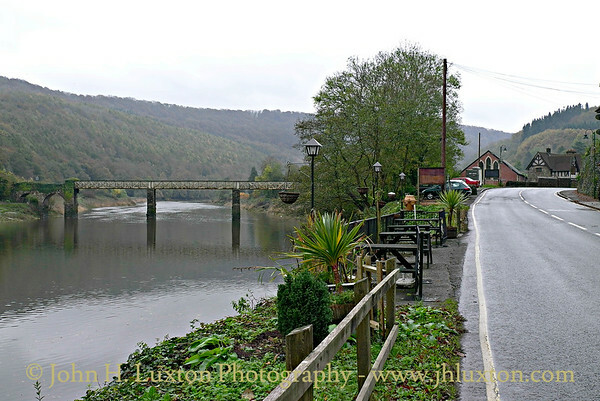 View from the Gloucestershire (English) side of the River Wye bridge towards Tintern. 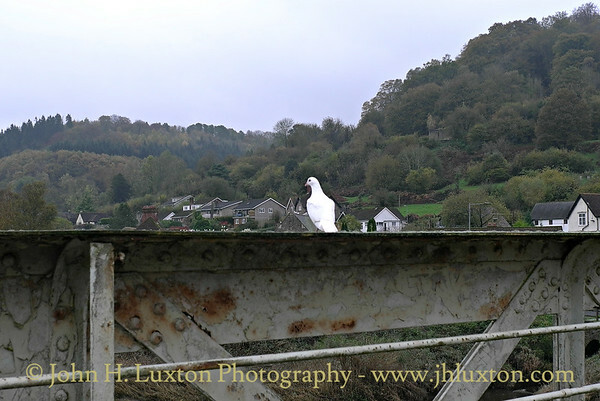 Dove on the bridge - the steel works is in need of some serious attention. View from Tintern across the Wye Bridge to the Gloucestershire side. 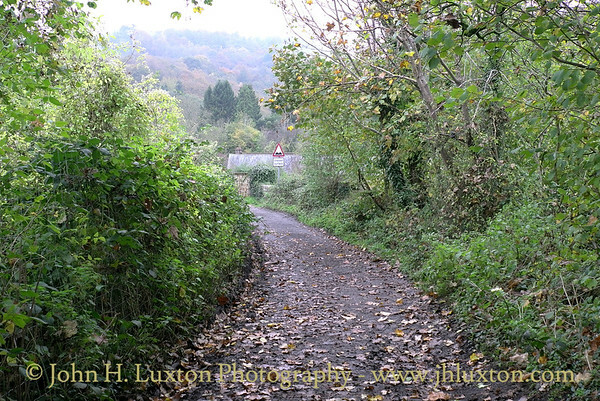 View along the trackbed towards the level crossing at Tintern. Site of the level crossing over the A466 Monmouth to Chepstow road. 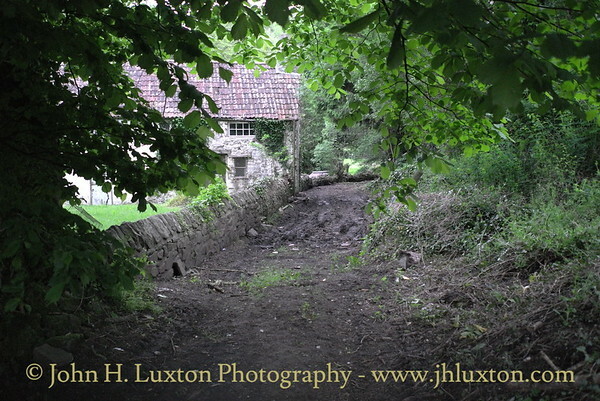 The line continued through the black gate and ran to the right of the cottage. 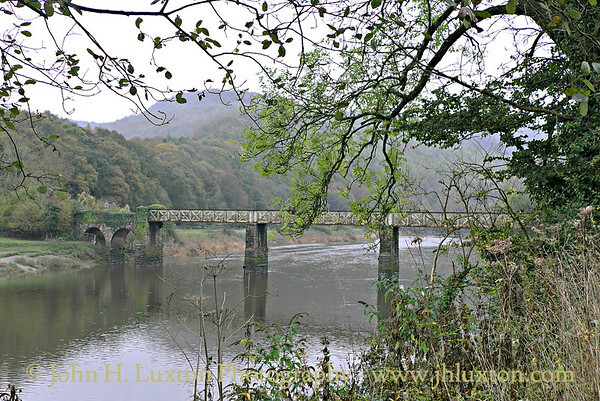 The River Wye Bridge viewed from Tintern. 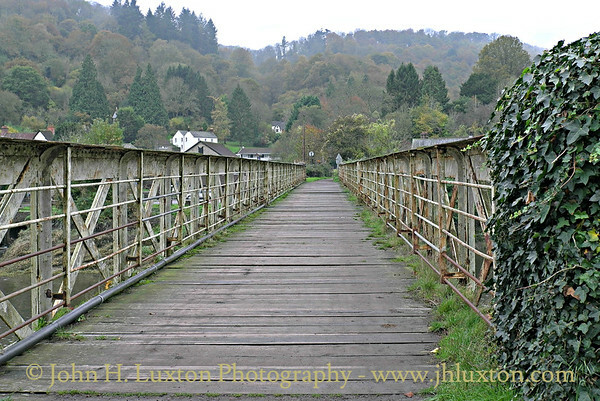 Another view of the bridge from Tintern. 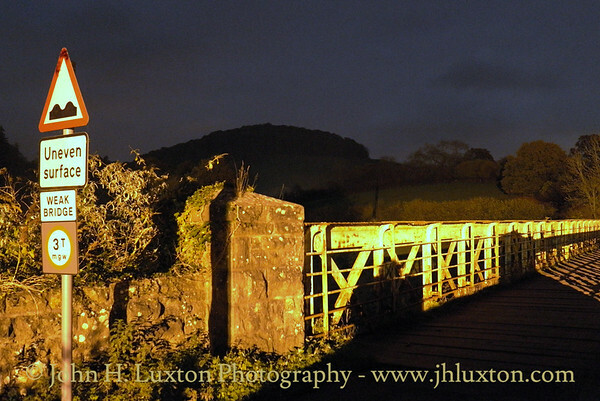 Night time view of the Tintern end of the River Wye Bridge. 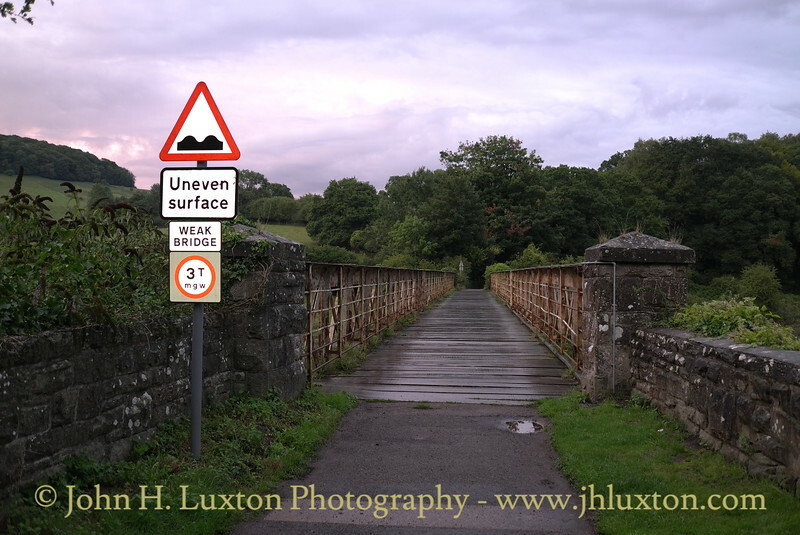 Low level nightview of the Tintern end of the River Wye Bridge. View along the track bed beyond the A466 Monmouth to Chepstow road crossing. 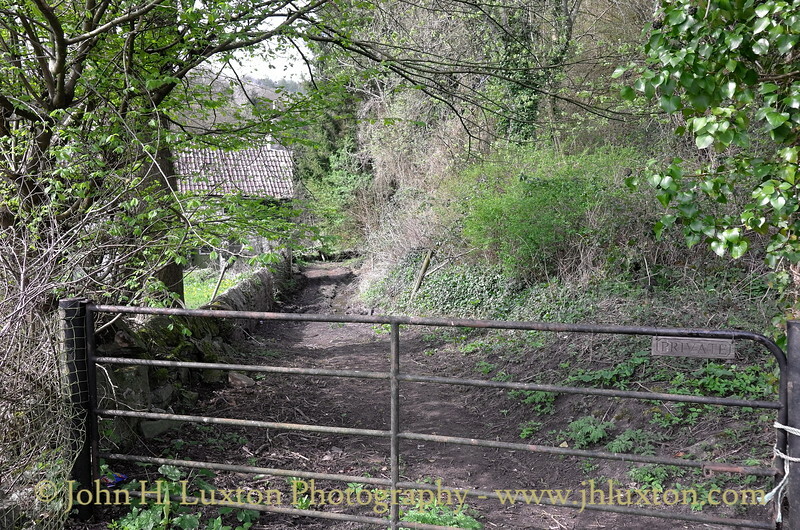 View along the Tintern Wireworks Branch track bed at the side of Bay Cottage from the crossing with the Monmouth to Chepstow road. 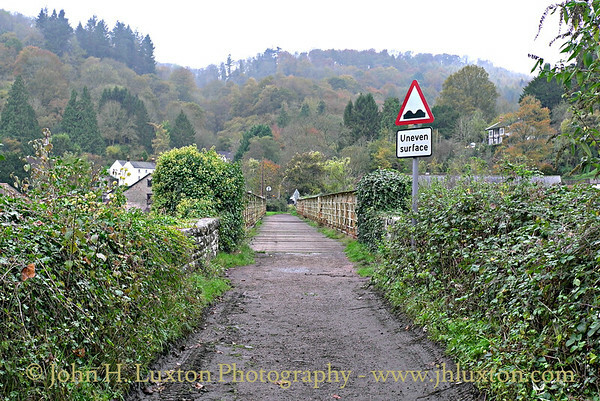 The Tintern Wireworks Branch bridge provides vehicle access to "Ferry Farm" on the English side of the River Wye. 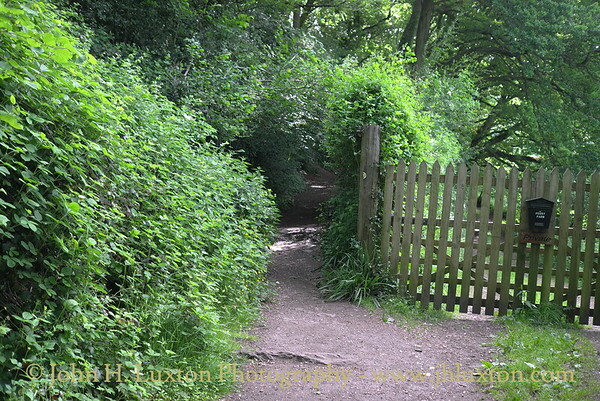 The railway track passes to the left of the gate. 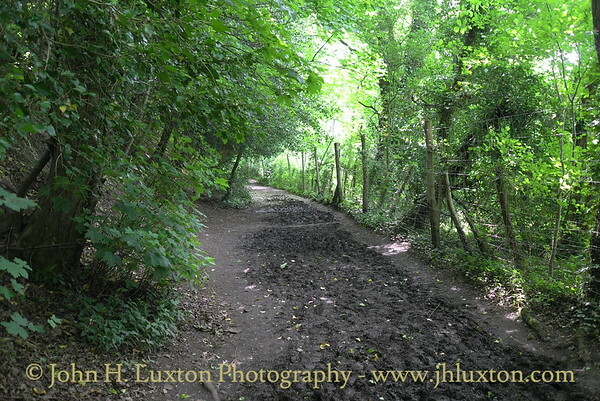 View along the track near Ferry Farm - it had been dry for a while but the track bed can get muddy in places. 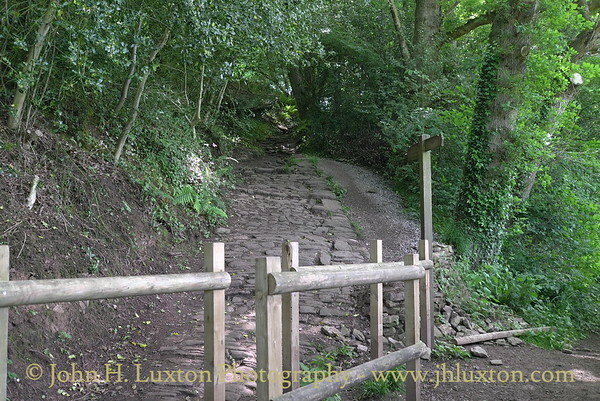 On the English side of the River Wye opposite Tintern Abbey the alignment of the railway crosses a steep stone setted road which is now used as a foot path. 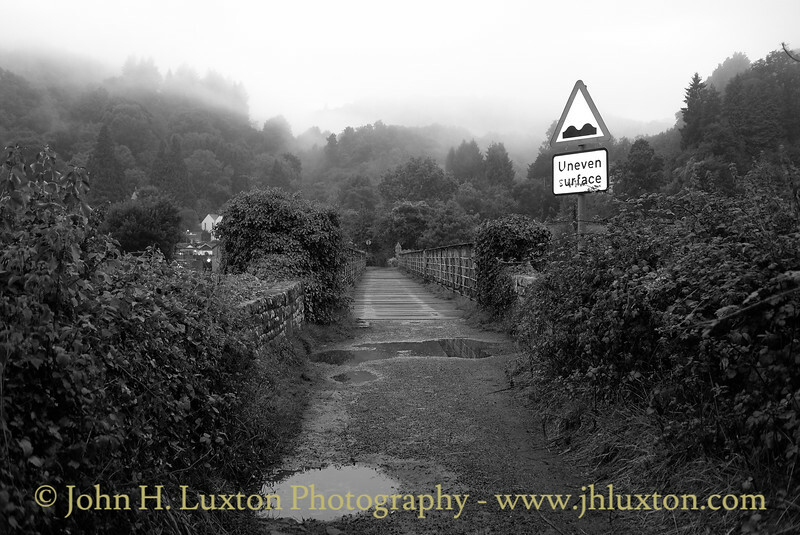 The lower section of this road once ran down to the river bank from where a foot ferry once operated. 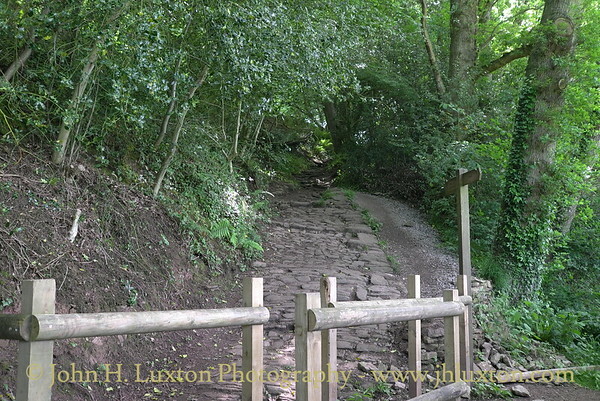 On the English side of the River Wye opposite Tintern Abbey the alignment of the railway crosses a steep stone setted road which is now used as a foot path. 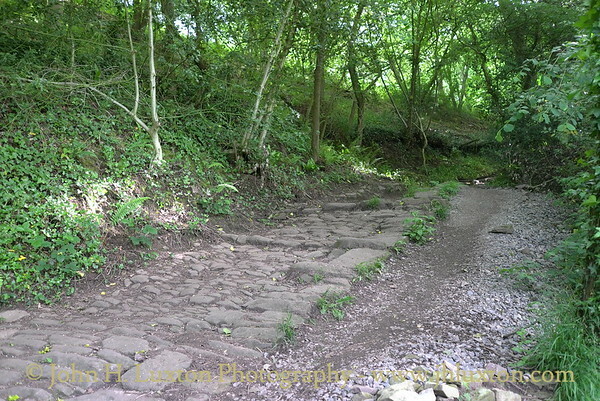 The lower section of this road once ran down to the river bank from where a foot ferry once operated to the Tintern side of the river close to the Abbey.